I had originally intended to shoot a different composition of the waves bursting through a natural rock canal here at Wyadup but I had to find something else to suit the light. 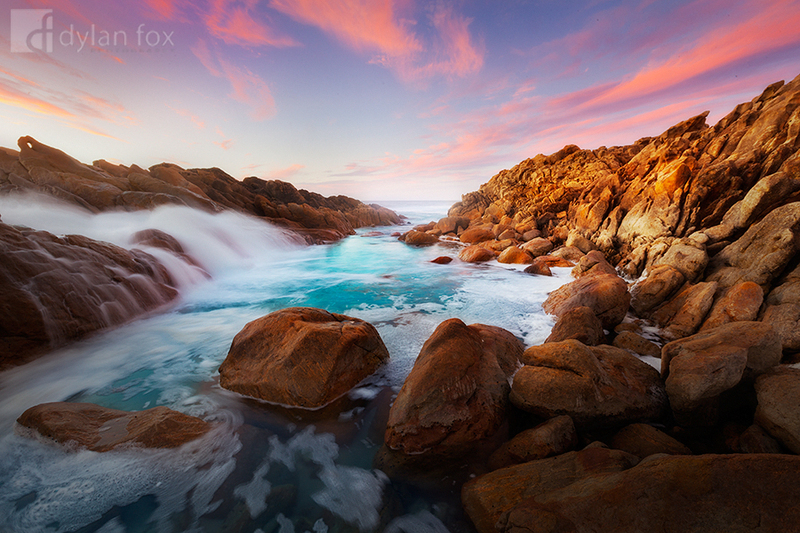 This photograph of Wyadup captures some beautiful glowing colours. The last light of day warms up the rock face on the right hand side contrasted by the stunning colours created in the pool below. Was a really fun shoot, other than the mosquito's! Wyadup is another stunning part of the south-west's coastline just a short drive from the town of Yallingup. I love this part of the world! Secure your limited edition, Wyadup Rocks photographic print, 'Wyadup's Warmth', by selecting your desired print size in the menu to the right.